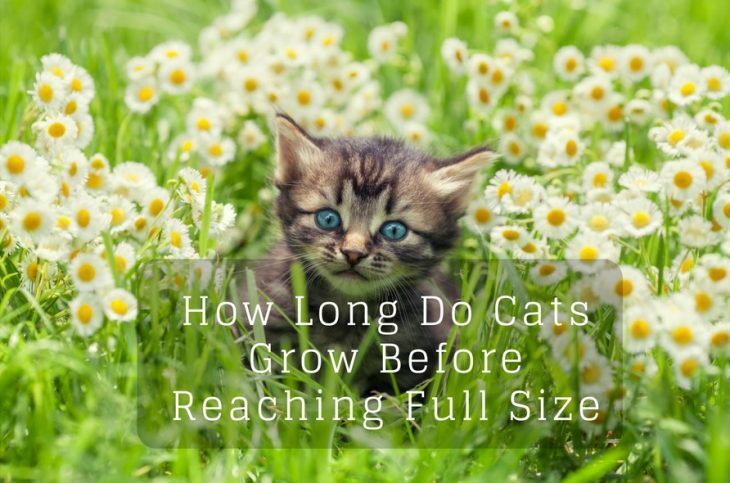 →How Long Do Cats Grow Before Reaching Full Size? Many people reach a time in their lives when they decide to have a pet. Cats belong to a group of animals that we humans have a very love and hate relationship with. It's either because of allergies, a bad experience or simply because cats are so independent. Kittens are cute, but they require a lot of attention, so your next logical question is how long do cats grow? When can you consider your kitten a fully grown cat and what will change when you reach that point? Here are a couple of things you should know about your fluffy companion. The easy answer is - cats stop growing when they have fully matured. That means their bones will not grow any further and their sexual maturity begins as well. Usually, it happens when your cat is 8 months to a year old. Sexual maturity in felines begins at around 8-month mark and continues for a couple of months after that. It is important to take care of their diet during their growing stage so they mature normally. You should read about your cat's breed since every breed is different. However, all growing cats need more calories in their diet than their grown-up counterparts. ​If your kitty seems to be a late bloomer, you might want to increase his calorie intake a little bit more, but be aware that you don't want him to become too fluffy around the edges since obesity created health risks. Same as in humans. So if you think your cat is not growing as he should - see a vet. ​If you feed your feline 3/4 cup of dry food it should be enough if you are consistent with 3 feedings a day. ​Cats are grazing animals, so even if your cat doesn't eat everything at once, don't worry. He might come back later and finish the meal. ​When you hit six-month mark, move on to feeding him twice a day. Free feeding is quite convenient, but unless it's something that's left over from the meal, don't overdo it. It is another thing that can lead to obesity. That will require you to take some serious diet measures and it just creates a hassle. ​When your cat turns one year old you can safely move from kitten food to adult cat food without looking back. Watch what kind of habits he has and if they need adjusting - now is the time. ​Animals like routine and if you get your cat used to certain feeding times, he will come and ask for food, but you can adjust it and your pet will adjust with you. ​However, if you have a larger cat breed, your cat will not be considered a full adult until he turns at least two. Their maturity happens later and sometimes can even only be complete between the ages of two and four so if you are not sure about it - see your vet and get a consultation about the best plan of action. 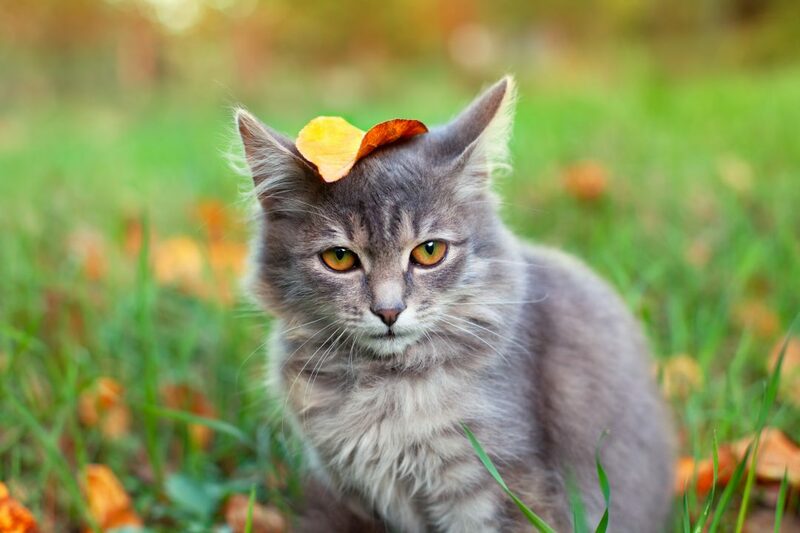 ​As cats mature they calm down and even though they still play, their social behavior is calmer. It depends on your cat’s breed and personality so there are no set guarantees what kind of cat you will have. It's possible that spayed cats could have the kitten-like lifestyle for longer. They also will love the attention and affection longer if not into old age. 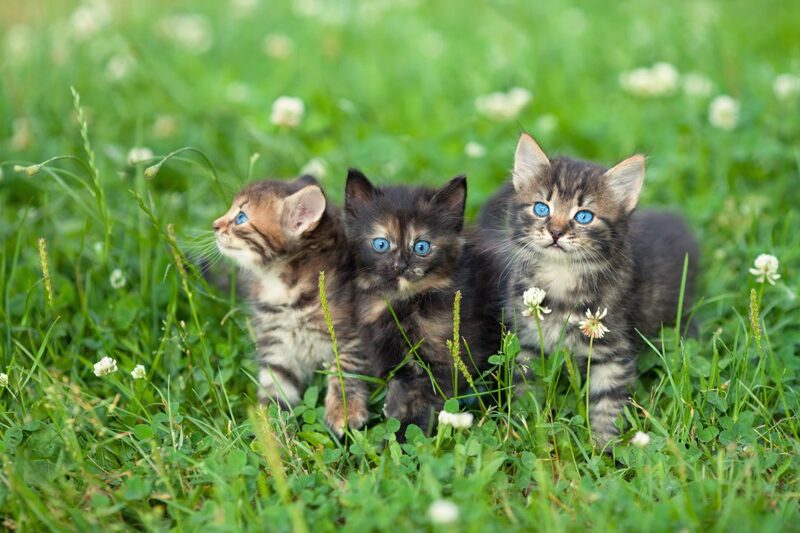 ​Many people choose to spay or neuter their cats to prevent pregnancy. Many people are concerned about their male cats spraying to mark their territory. It is also possible that if you spay or neuter your cat early enough, it will prevent spraying. However, it has to be done before your kitty turns six months old. ​Cats sleep a lot. Especially when they get older. It is important, however, to play with your cat. It will create positive tendencies and strengthen the bond you have. 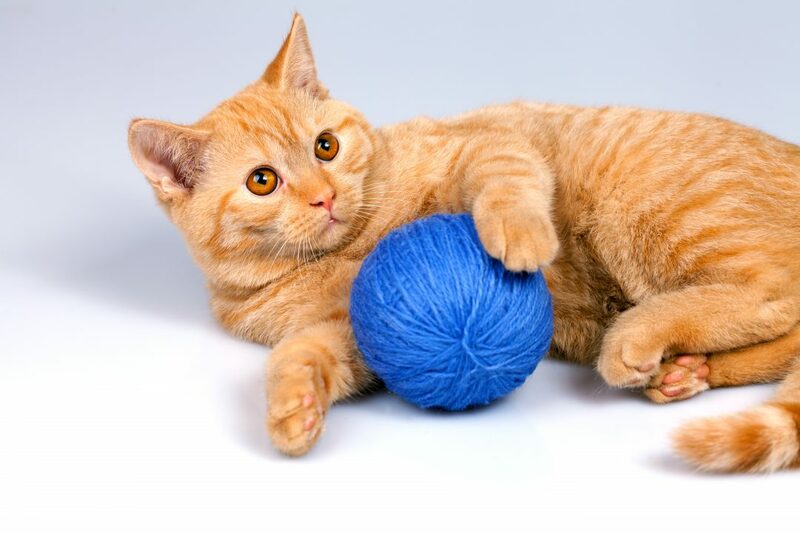 While your cat is growing, he or she will easily become bored and that can cause them to attack furniture and curtains, so playtime is very important. It will entertain them (and yourself) and wear them out so they can essentially go to sleep and continue growing. Playtime is also an essential for exercising your cat. Don’t do it straight after meals, but let the food settle down before you get out the string and the ball. ​If you adopt a kitten from a shelter, he or she will have all the necessary vaccinations, but you should have the cat checked out anyway. Register with a vet so you know where to turn if something goes wrong. ​Also, ask the shelter about the circumstances of the kitten, since many adopted cats will need to be socialized before they are ready to meet other people. Look into behavior training as well. 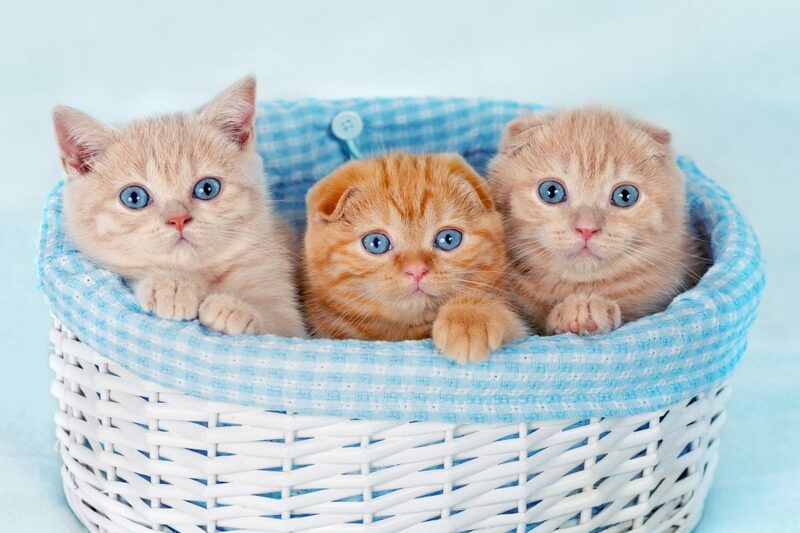 Most cats are litter box trained, but it depends on their start in life. Most shelters will make sure that your kitten knows what and where their litter box is. If you adopt a grown up cat and if you have children or other pets, make sure that the cat will be all right sharing the house and the attention. Even though cats are﻿﻿ pretty independent animals, some still crave and love attention and affection. If they have to share that with another cat, a baby or a dog, they might not be very keen and develop bad or aggressive habits. Read up on cats before getting a new furry friend. Don’t make the mistake of getting a kitten and then not paying attention to it. If that happens and you have a feline attack on furniture, curtains or even wallpaper – your cat needs a scratch post and he or she might be terribly bored. Buy good quality cat food and make sure you don’t feed your kitten grown cat food since it will definitely cause them issues. Their teeth won’t yet be strong enough to chew adult cat food. Talk to your vet about different food options, and ask them about the options of wet food as well. Some cats are very opinionated about the kind of food they like so you will adjust to it over time. Make sure you have plenty of kitty treats ready as well but don’t overdo it. All in all, just enjoy spending quality time with your new companion. They will share your life for many years to come. Having a cat can be beneficial to your health as well unless, of course, you are allergic. Then you might need to settle for a Sphynx.